There are many reasons that a cat would need to be litter box trained, and being a newborn kitten isn't the only one. If a cat has been living outside all of its life, it’s most likely used to just using the dirt anywhere it feels like it. So, if you are bringing home a new cat and need to learn how to litter box train, this is the place to find out. Cats are born with a natural instinct to ‘cover’ up their feces, whether it is dirt, rocks, or anything of the sort. You can notice this behavior with all new kittens. Click here for my informational hub on how to take care of your new kitten! 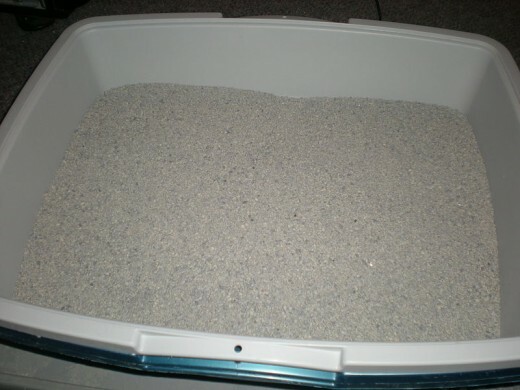 Why will my cat not use the litter box? If your cat is litter box trained, but is suddenly not using the litter box anymore, there could be a few reasons behind this. First, check the litter box itself. Is it clean? A litter box needs to be cleaned daily. If it’s not, your cat will not want to use the bathroom in the litter box, and will instead go somewhere else. Make sure to regularly change out the litter. Also, don’t just dump the litter into a trash bag and then put new litter in and expect that to be it. Make sure that you wash out the pan with water to get rid of all the dirty spots. I also heard that adding a little bit of vinegar or lemon juice will help with the odor, but I have not actually tried this myself, yet. If you are taking good care of the litter box and making sure it’s clean every day, yet your cat is still not using the litter box anymore it could be an emotional thing. 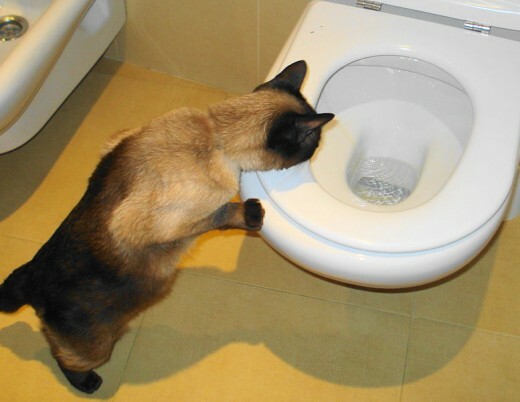 If there are new cats in the house, more people than normal, or something drastic has changed with the house (such as remodeling or adding more or different furniture) these things could cause your cat to become ‘stressed’ and therefore urinate outside of the litter box. If neither of the above seems to apply for your cat, you may want to look into taking your kitty to the vet. One other common reason a cat would refuse to use the litter box is because of an infection. If your cat does have an infection, its best to seek medical care as soon as possible. In my experience it doesn’t take very long at all to get a cat to start using the litter box. In fact, my most recent kitten was a rescue more or less. He was living in a barn and wouldn’t have made it through the winter. Being a barn cat, he was use to just walking around outside and going to the bathroom in the dirt. When we brought him home, I did what I normally do to train cats and he only used the bathroom on our floor once before he got the gist of what the litter box was for. 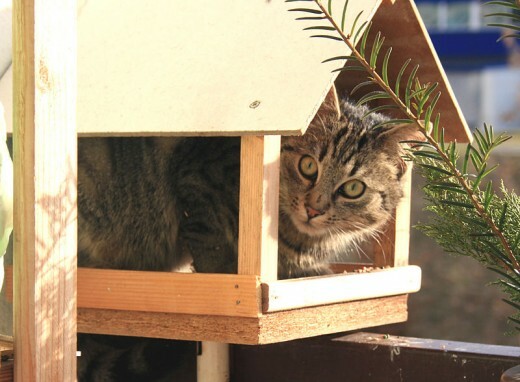 -Set up the litter box in a nice open area, away from his or her food or sleeping areas. -Every so often, pick up your kitty and take them to the litter box. Place them inside and gently use your hand to rub their paws in the litter. - Repeat the above step after your cat eats, takes a nap, and after playtime. If you do it often enough, they’ll catch on very quickly. Also, if they use the bathroom on your floor, do NOT punish them. Instead quickly pick them up and take them to the litter box, they’ll get the hint eventually. -If you need to leave your house for a few hours or longer, and your cat is not litter box trained, leave them in a concealed room. Preferably leave them in a room with no carpet, like a bathroom, garage, or somewhere like that. Don’t choose an extremely small room, or your cat might feel claustrophobic. Instead, make sure he has plenty of room to walk around. Place the litter box on one end of the room, food and water on the other end of the room. If you must be gone overnight, or for longer than most of the day, make sure to make a comfortable place for him to sleep. Most cats find all kinds of places to sleep, but make sure he can find a cozy little place. -The older the cat is, the longer it may take for the training to kick in. 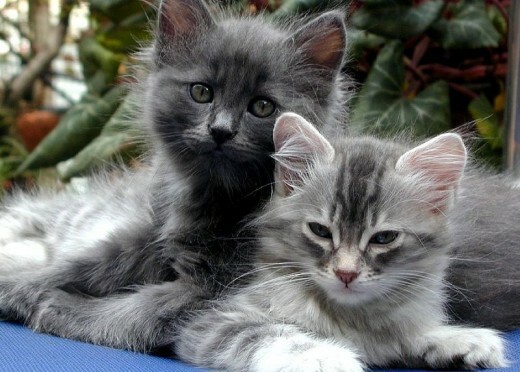 Kittens are easiest because they aren’t yet use to months and months of the same routine like adult cats are. Just remember to be patient. -It might also be worth noting that when you bring home a new cat, they will often go into a hiding spot until they are more comfortable with you. So place the litter box close to their hiding spot. Do not punish your cat! I said this is a previous cat hub, and I cannot stress it enough. Your cat does not understand punishment the way that humans do. If your cat pees on the carpet and you scold him and then take him to the litter box, he will only affiliate the litter box with punishment, therefore doing the exact opposite of what you are trying to achieve. Constant scolding will also cause the cat to be scared of you, and he will lose his trust with you. This will also cause him to act out in more ways than just peeing on your carpet. Instead, praise them when they use the litter box! When trying to get your kitty to use the litter box, it’s a good idea to praise them for using it. Call your kitten over to the litter box and sort of scratch at the litter, imitating a cat. This will interest your kitten and then you should place them inside. Praise them in a soothing voice with plenty of back scratches when they do this and they will associate the litter box with a positive place to be. Haven't attempted these steps yet, but sounds like it would work! Click on any of the following hubs for more articles on cats! You just brought a new kitten home! How do you take care of it? 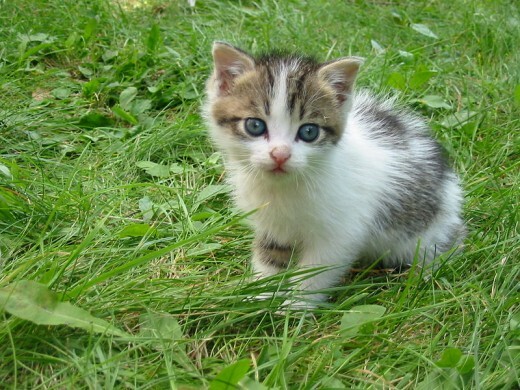 This article includes a bunch of helpful information on how to care for your new kitten. From play time to mealtime! Considering declawing your cat, or just interested on what happens when declawing? Read this hub and you'll learn how declawing works and why I believe you should NOT have it done. 14 Fun Facts you May Not Know About Your Cat! This page includes information about cats that you may not know about. 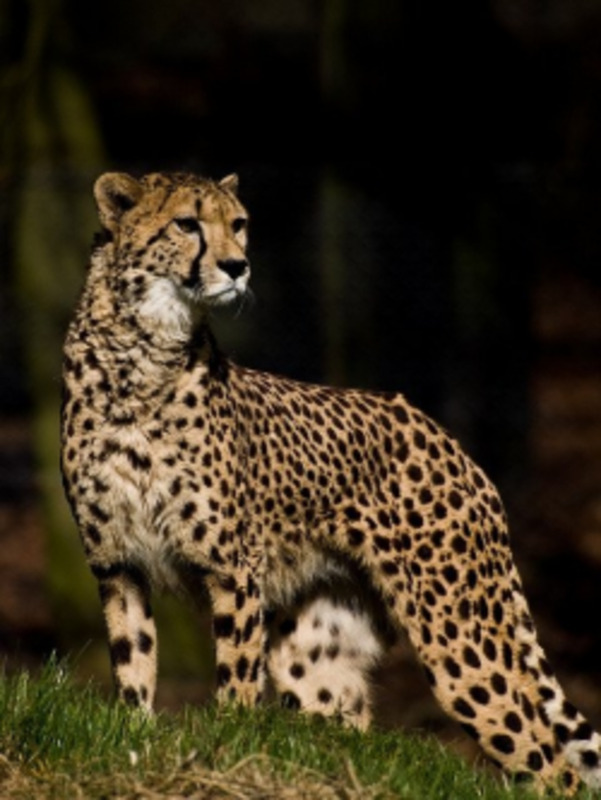 Amazing animal facts! 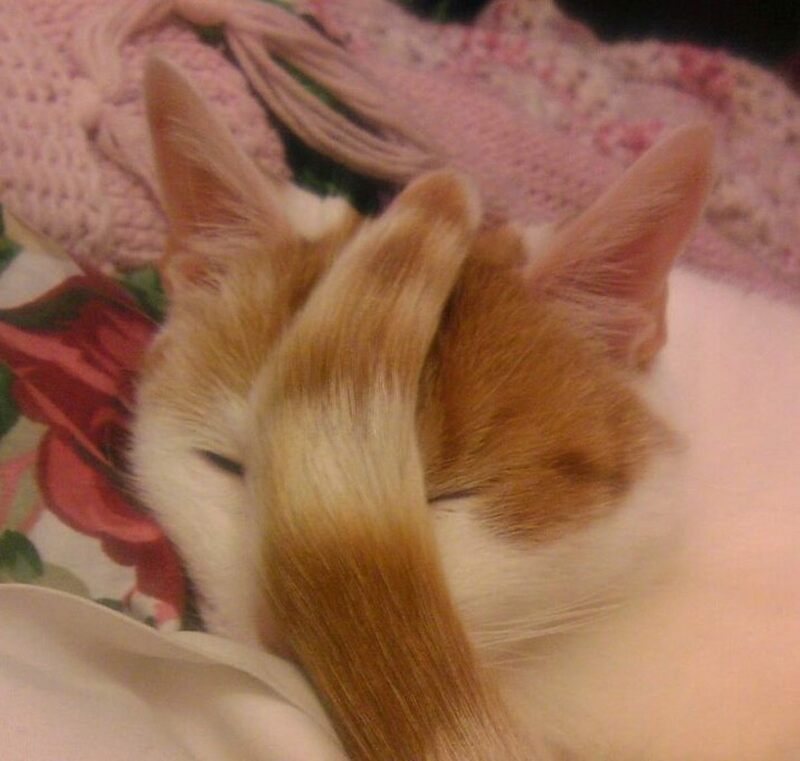 Funny cat pictures, too! It’s mildly important to change litter gradually. Meaning, only add a little bit of the new litter at a time, to the old litter; gradually adding more and more of the new litter. The same goes for cats that were used to dirt litter boxes before. It will be easier to train them, if you start them off with dirt, and slowly ease into litter. It has always been hit or miss with whether my cats have used their litter box. It is good to have some helpful hints. Interesting and useful information. 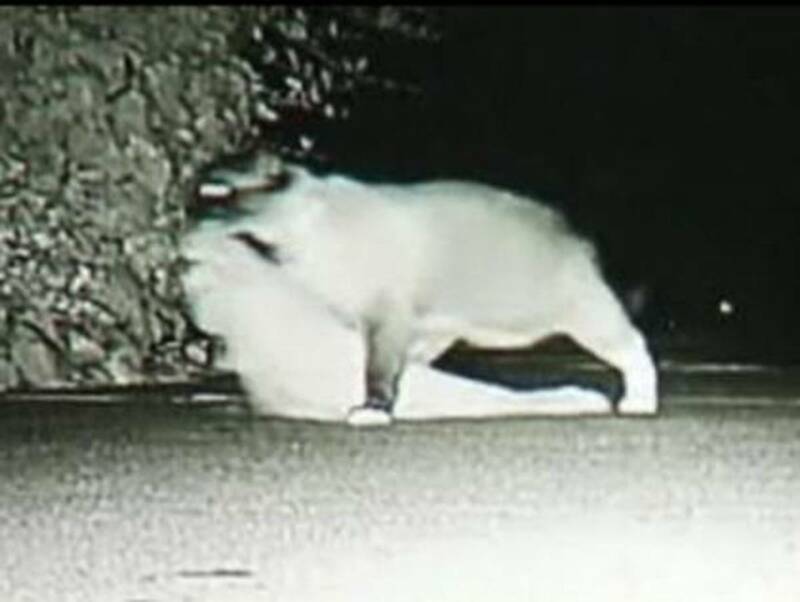 Cats are much easier to train than dogs in my opinion. I've had a lot fewer cats that have had accidents than dogs. I've heard some people use a litter box for small dogs and have had success training them that way instead of going outside. Well done - useful tips. Voted up. Great guide for those cat owners who need help on training their cat. I have never had too much difficulty in training a cat to use a box, but there are some who have not a clue as how to do this. Your hub will be there for them! Great hub. I have always had outdoor/indoor cats so no need for litter boxes but I have known those who don't keep clean litter boxes and end up with ewwww!